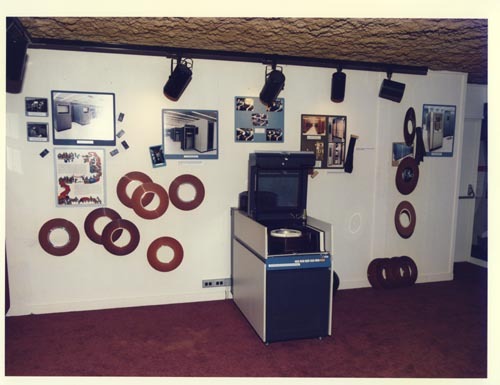 Color image of a Lawrence Livermore National Laboratory disk drive exhibit at the 1984 National Computer Conference. It shows a removable disk pack drive with cover open. On the partition to the rear are several artfully arranged single disk platters with pictures of LLNL systems.